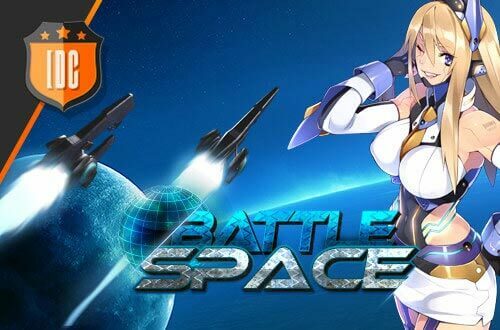 Battle Space 에 가입하고 우주 정복을 위한 여행을 시작하세요! 우주항법 RTS가 당신을 보이지 않는 곳으로 데려 갈 것입니다. 우주선을 건설하고, 사령관을 고용하여 은하계에서 가장 강력한 제독이 되세요! 당신의 우주선 엔진을 지금 시작하세요! Set off on a journey to conquer space! BattleSpace is a sci-fi flash game designed to play in the comfort of your web browser. In this free online strategy game, you step into the role of an Admiral, building a solar system in the depths of a faraway galaxy. Every player starts in their own 'Union', or guild, with the option of banding together and creating an interstellar empire. Play solo, PvE, PvP, as a combatant or gatherer—or all of the above! The options are limitless once you enter deep space. The ultimate goal is to conquer the Giant Planet before the season's end, but with so many ways of getting there, BattleSpace tailors to all playstyles. In this space strategy game, you can test your strategic skills. Watching, thinking and communicating are the keys to build up your imperium. You have many tools at your disposal to develop your conquest plan, alongside with your union and your allies. Enjoy the in-game chat that allows you to talk with the whole galaxy, your Union and your friends. Use the special channels to chat with your alliances and with people in your mother tongue. You also have an e-mail system so that you don’t miss any important information.